Perform, produce, jam and learn anywhere your creativity takes you with the MPK Mini Play. 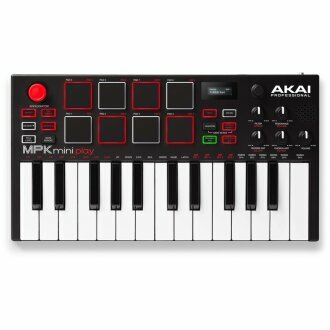 The ultra-portable MPK Mini Play is based on the world's most popular MIDI controller -- the Akai MPK Mini -- but now it comes packed with 128 sounds and its own built-in speaker. Add in 8 backlit MPC drum pads, knobs for editing your sounds and a 4-way joystick for simple control, and you have all you need to take your music on-the-go. Powered by 3 "AA" batteries, the MPK Mini Play is built for hours of wireless fun. You can also connect to a computer via USB port for plug-and-play MIDI capability. Don't want to disturb others, or need really big sound? Use the mini-audio output jack to connect headphones or any external speakers you want. 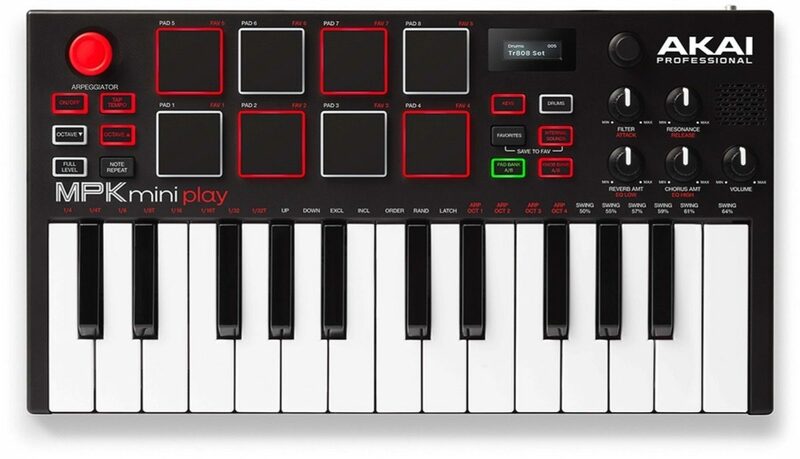 All-in-one, easy-to-use fun with "pro" features -- that's the MPK Mini Play! Available until 11 PM (EST) today. Mention special code 20W-6X87 when you call.